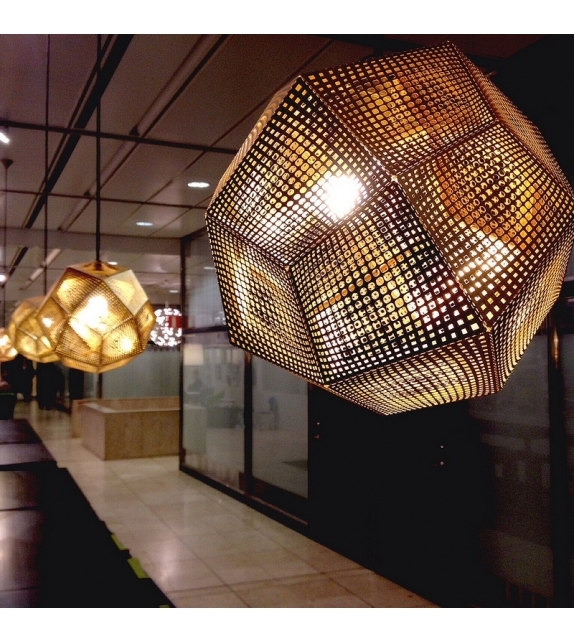 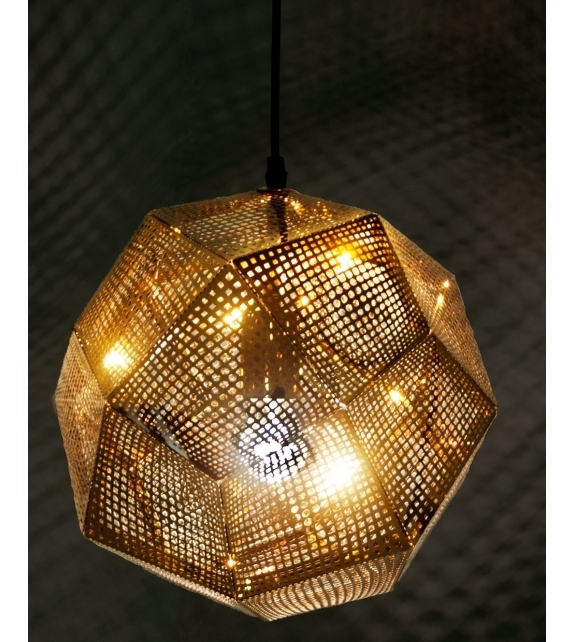 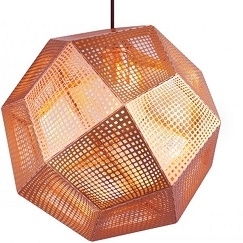 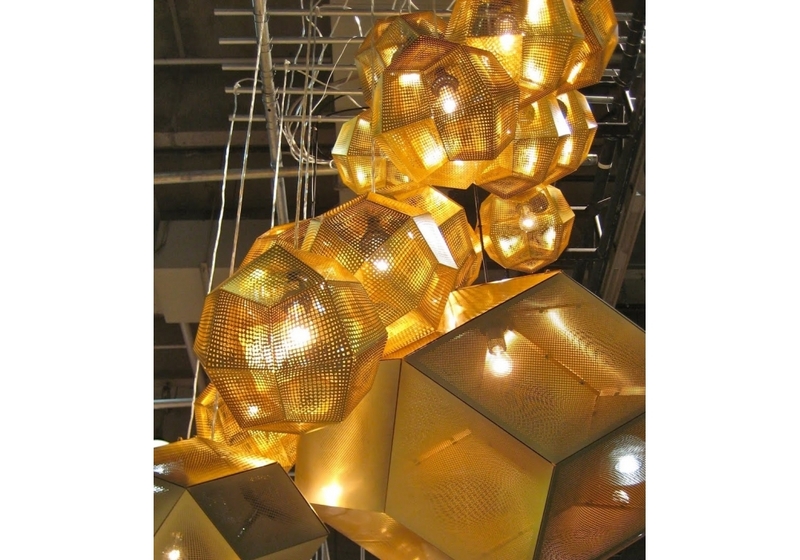 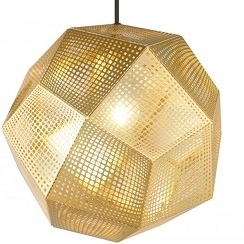 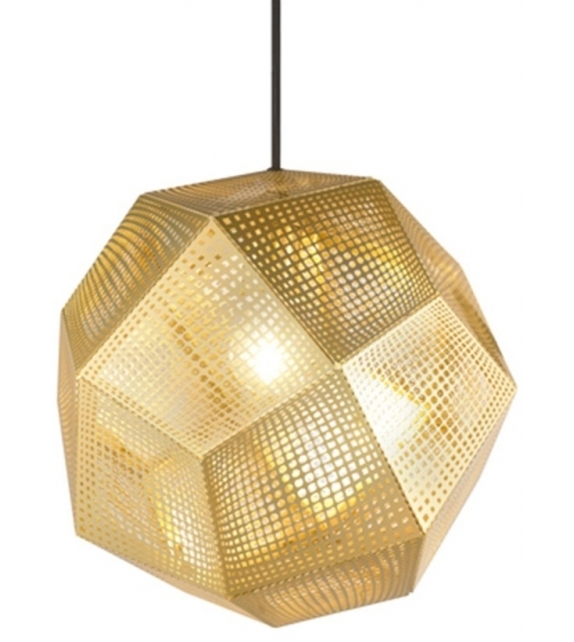 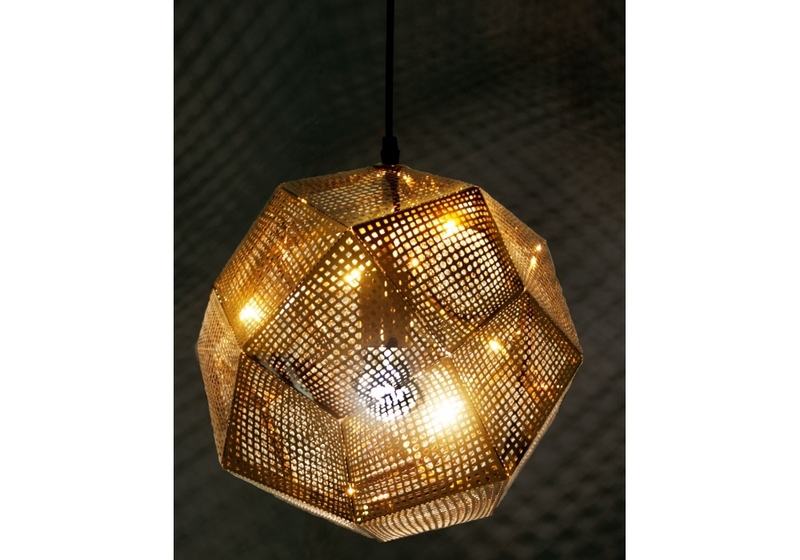 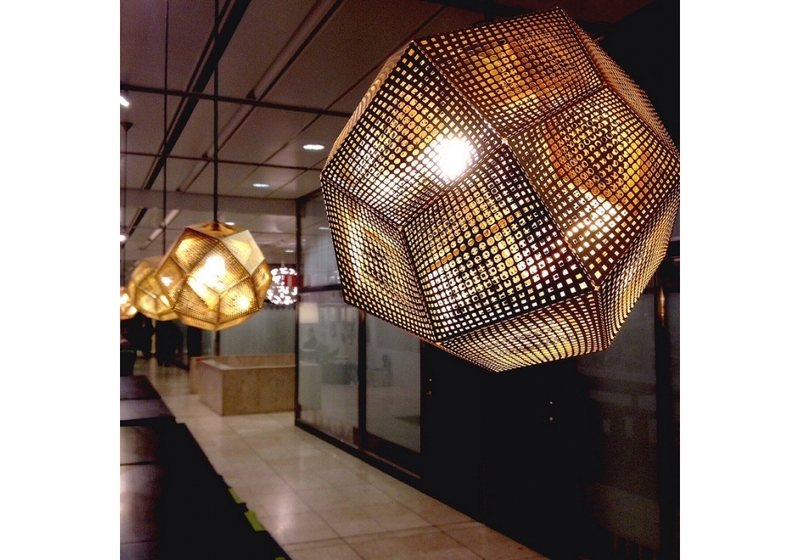 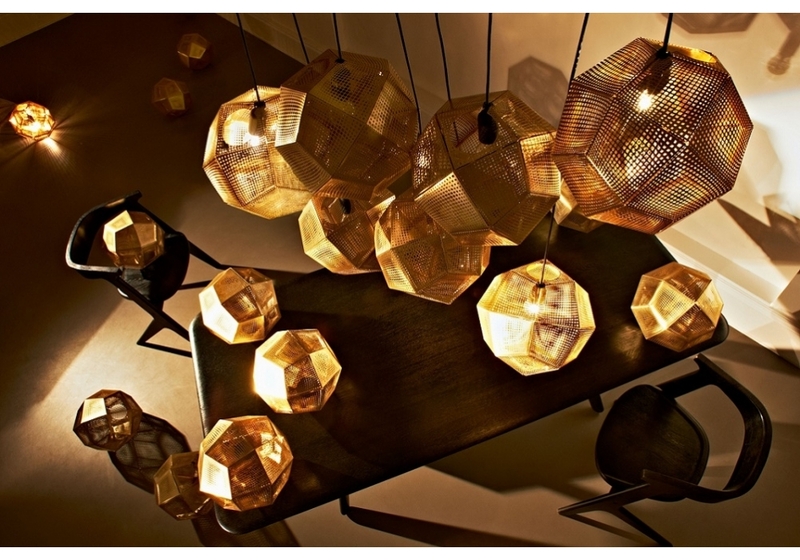 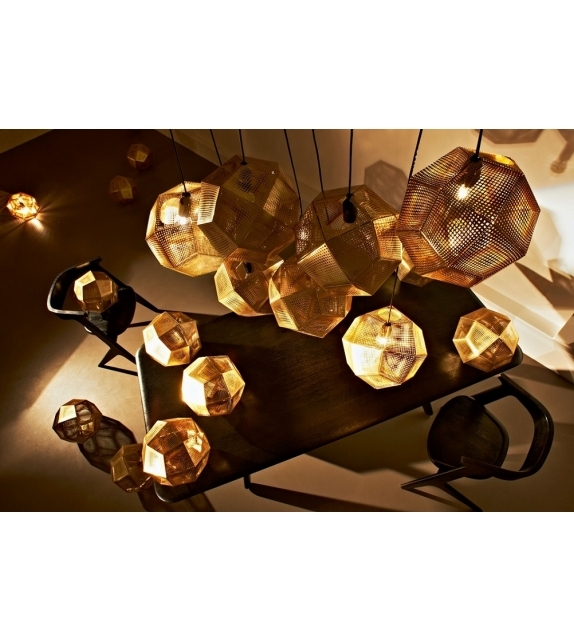 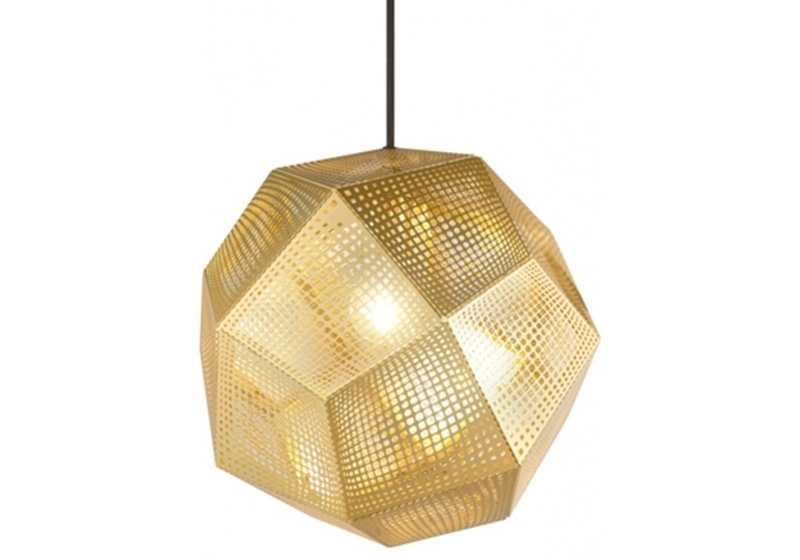 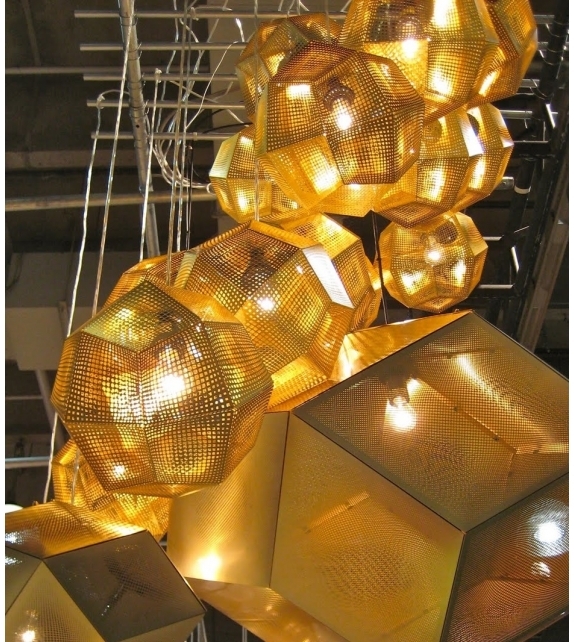 Etch design by Tom dixon is a pendant lamp. 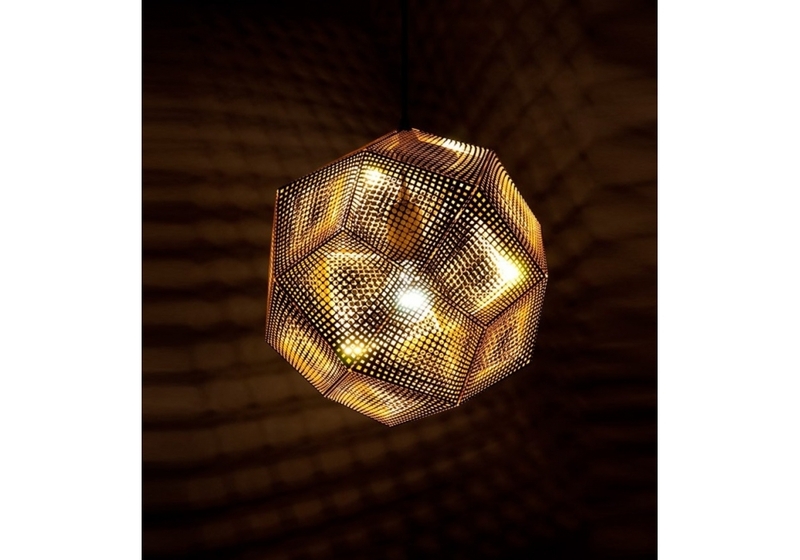 Inspired by the logic of pure mathematics, geodesic structures are made up of sections of 0.4mm etched metal sheets. 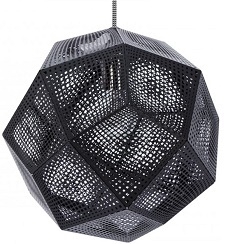 This pendant light has a detailed pattern which casts a mass of intricate shadows when lit. 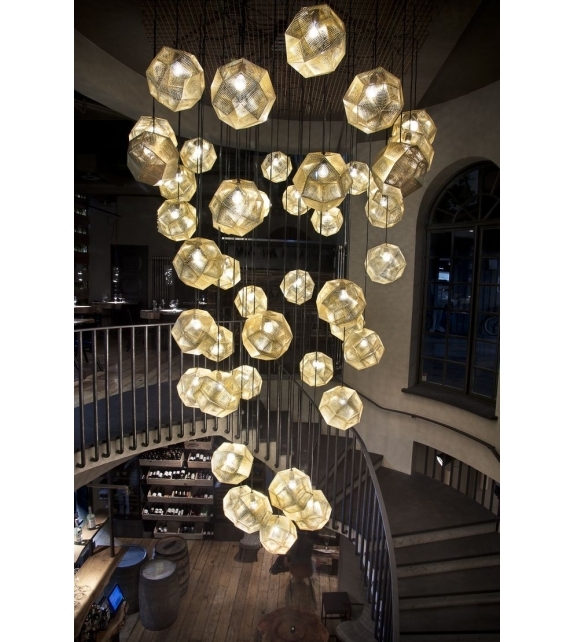 Could be hung in multiples using our Pendant System, or as a single pendant, above a dining table for example. 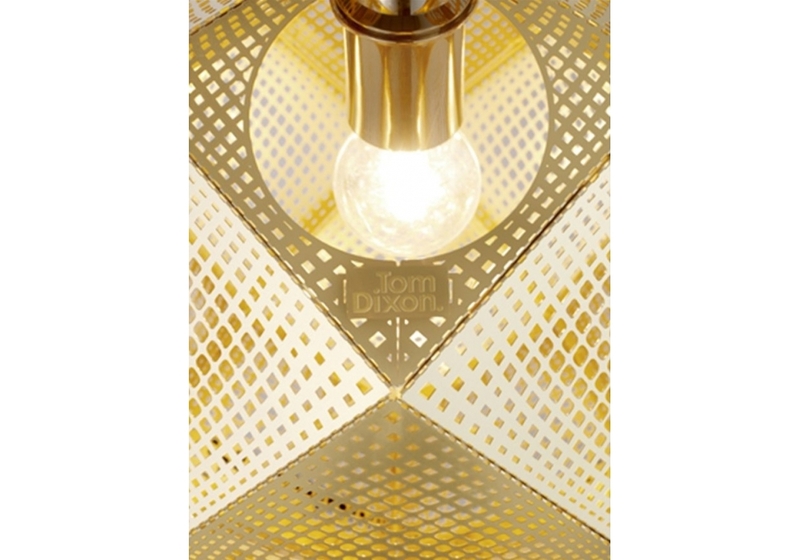 Etch design by Tom dixon is a pendant lamp. 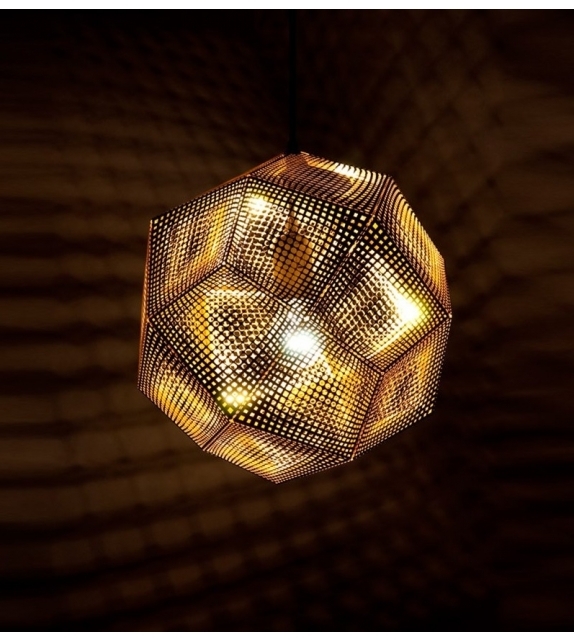 Inspired by the logic of pure mathematics, geodesic structures are made up of sections of 0.4mm etched metal sheets. 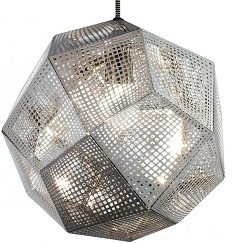 This pendant light has a detailed pattern which casts a mass of intricate shadows when lit. 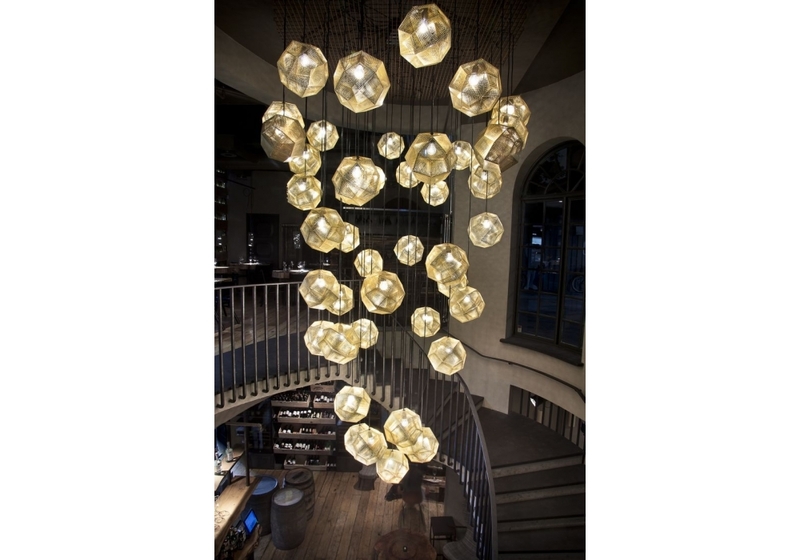 Could be hung in multiples using our Pendant System, or as a single pendant, above a dining table for example. 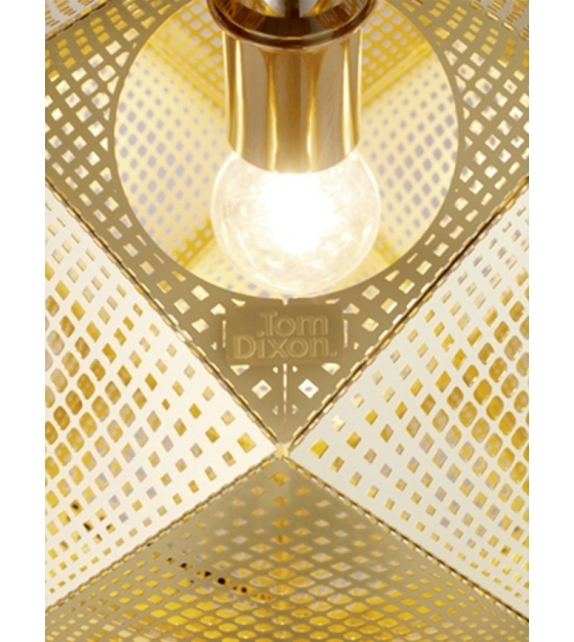 Also available in brass, copper, steel and as a candle holder.